"This place is a hidden gem on the island!" Cross country skiing at North Highlands Nordic is incredible! 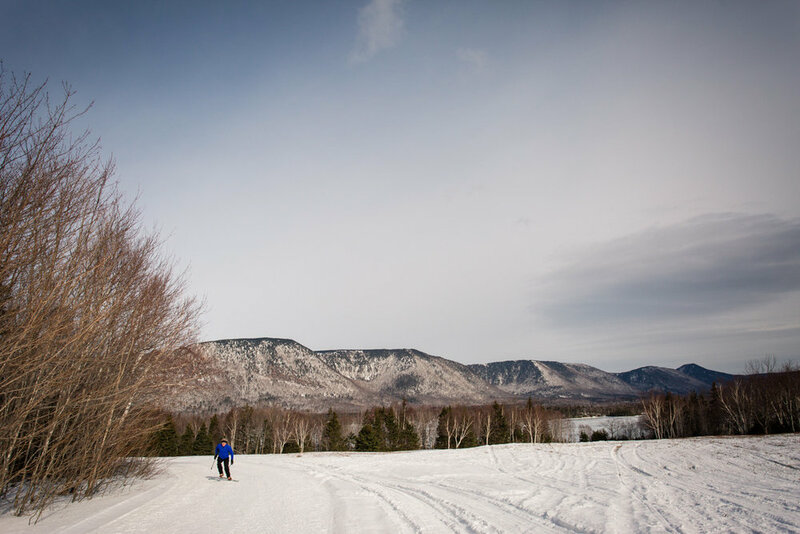 We’ve been to some other cross country skiing locations in Canada and find that Cape North is beyond comparison. The trails are well groomed and well maintained; the terrain changes frequently so it’s never a bore and there’s designated space for skate skiing and track skiing. There's plenty of hills to rev up your heartbeat as you climb and going down is a breeze - so much fun cruising down! We've been known to pick up quite a bit of speed. We love that the trails aren't too wide, so that you still feel like you’re somewhat in the woods. And best of all? The views!! You can see the mountains and Aspy Bay from parts of the trails. There’s at least 4 different trail routes with over 20 km of track.